I’m Louise Ward, Director of LAW Legal Practice, a boutique firm dedicated to assisting families when things don’t go to plan. 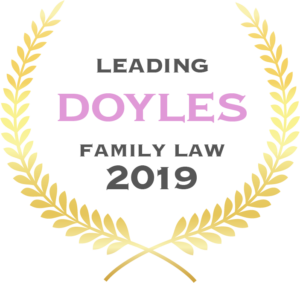 From my practice situated on Queensland’s Sunshine Coast, I offer sound and practical family law advice and services. I help families on the Sunshine Coast and throughout Australia with all aspects of family law. From the beginning when I was feeling incredibly apprehensive about the whole process Louise was kind, calm and reassuring. She explained each step as we took it and gave me a professional perspective on what was happening and the potential outcomes. I ended up with an excellent result which I can only thank Louise for. LAW Legal Practice are highly professional and always returned my phone calls and emails in a timely manner. Louise made a stressful and emotionally difficult time for me much easier to work through. I would highly recommend LAW Legal Practice to any friends or family I know going through a similar situation. Thank you again Louise for all your help. I recently engaged LAW Legal Practice to assist with a relocation order. I chose LAW Legal Practice because of Louise’s capability not only as a lawyer, but also her empathy and understanding of my difficult personal circumstances. Communication with Louise was direct, honest and clear. I would engage LAW Legal Practice in the future and highly recommend Louise. A massive thank you for taking the time chatting to us today Louise. I appreciate it so much. You always make me feel so comfortable and as I said it’s so nice to know that someone has your back and always communicates and gets back to you. You always give such sound advice. I recently engaged LAW Legal Practice to help with my Property Settlement. I chose LAW Legal Practice because they were recommended to me by a friend. I found working with Louise and her staff to be a wonderful experience. I’d like to thank Louise especially for her support and friendship but most of all her professionalism she gave me over the last couple of years. I appreciated having Louise on my side and knowing she was there, really helped me get through a very difficult process. Louise will always be my Lawyer if I ever need anything going forward and I’d recommend Louise and her team to anyone. I recently engaged LAW Legal Practice to organise a financial separation from my husband. I chose LAW Legal Practice because of the connection to the Act for Tomorrow Separation Specialists. I found working with Louise to be delightful as she understood my situation, understood the laws associated and could explain the whole process simply to support how I was coping with my compromised life situation. Whilst change to life’s circumstances is difficult having Louise help with the financial side of things in a fair and reasonable way meant I could spend my energy healing mentally and emotionally. I am truly grateful for her attention to detail and support. Do you have legal questions about your separation? Let’s talk about it over coffee. Contact LAW Legal Practice to arrange a time. I’ll buy the coffee and give you half an hour of my time and experience. To make the most of our time together, I highly encourage you to use our obligation free online interview to provide some background information on your situation. Just click ‘Get started online’ below.